NEW Space efficient Nova FTS Wall Bridge! 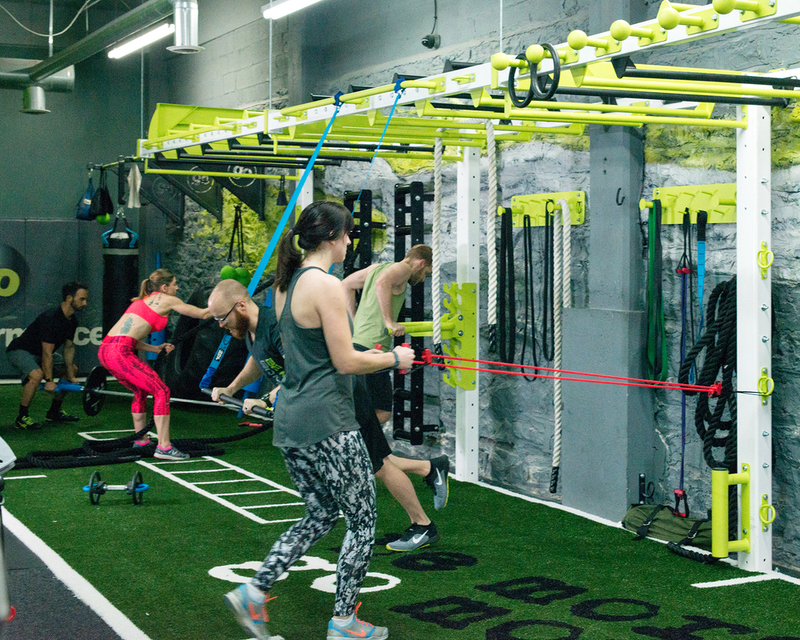 As the need grows for more options to accommodate smaller training spaces as well as maximize the utilization of floor space for personal training and group functional fitness workouts, MoveStrong designed the Nova FTS Wall Bridge. A Hangman bridge design, meaning it has support post on one side that anchors to the floor and top crossmember that anchor to the wall, leaving the area underneath the monkey bar bridge open. 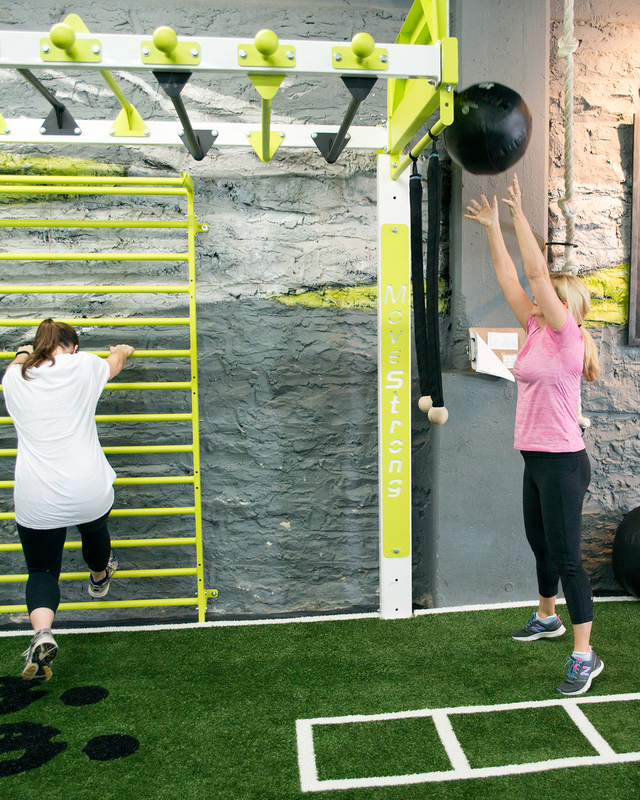 This gives more open floor space with the overhead training options for bodyweight exercise, suspension training, resistance bands, ropes, medicine ball targets, and more. 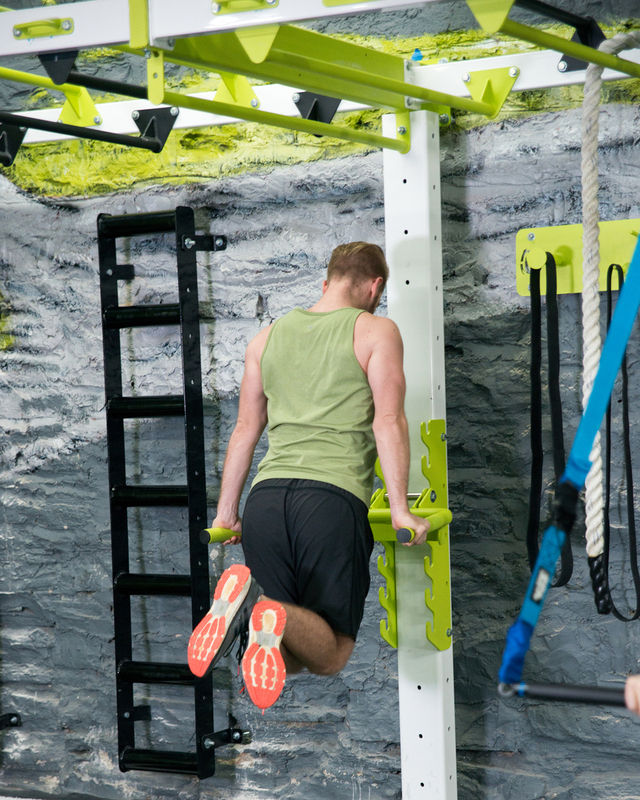 The large oversized upright post against the wall accommodate training options such as adjustable dip, G-loops anchors for fitness bands, battle rope anchors, GRTs(ground rotational trainers), and sliding rope anchors. The outside of the monkey bar bridge will accomidate side rail pull-up bars and globe rail grips for the ring toss challenge! See some of the extended monkey bar bridge options in this video. The Nova FTS Wall bridge is a modular design allowing it to span any length in approximately 5' increments. This wall mount bridge option is ONLY available to approved wall structures capable of supporting this design for secure anchoring. Contact us to discuss your facility and training needs to determine if this model is best for your facility. Here are some pictures of a showroom facility with the new Nova FTS Wall bridge spanning 30'. Options for the bridge include Medicine ball targets on the end, staggered monkey bar heights, side rail pull-up bars, and globe rail grips. The support posts have adjustable dip, GRTs, Rope anchors, and g-loops. Under the bridge mounted directly to the wall are dual Rope Ladders, storage accessory plates, and Stall bars.